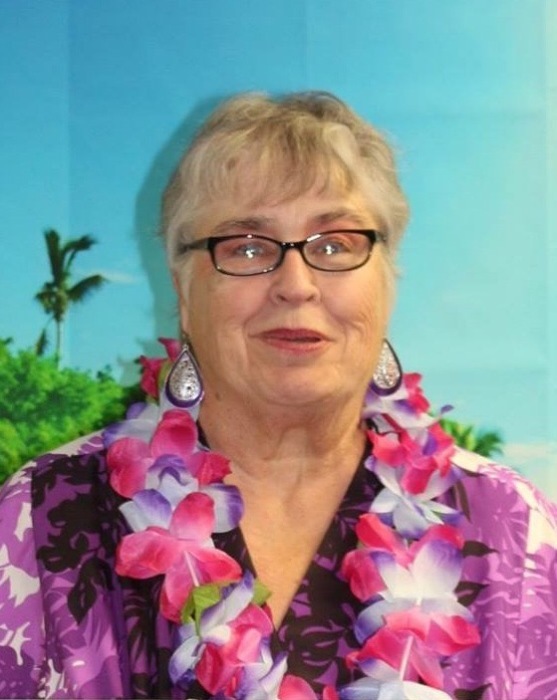 Raynette Louise “Cookie” Shannon age 76, of Ephrata, WA passed away Friday, November 23, 2018 at her home. She was born July 18, 1942 to Frank L and Irene Louise (Rogan) Klashke in Seattle, WA. Cookie received her education in Grandview, graduating with the Grandview High School Class of 1960. She also attended Central Washington University. She married James Boyd Shannon on February 12, 1966 in Sunnyside, WA. Together they made their home in Grandview, WA. Cookie was employed with Pacific Power & Light for more than 30 years. She enjoyed crossword puzzles, dominoes, Gospel music and baseball. Cookie loved her friends and family with a passion and will be missed by all those that knew her. An avid volunteer, she dedicated many years of service to the Grandview Junior Miss program, Grandview Booster Club, Ephrata Senior Center and other worthy organizations. She spent most of her life in Grandview, WA relocating to Ephrata, WA five years ago to be closer to her son and grandchildren. She is survived by her son, Ryan Shannon and her four granddaughters, Kamryn, Kacie, Regan and Mylee Shannon of Ephrata, WA. She is also survived by her brother Frank D. Klashke and her sister-in-law Kay Klashke. Additionally she is survived by her niece and nephew and their families, not to mention several cousins. She is preceded in death by her husband Boyd, her father Frank L. Klashke, her mother Irene Klashke Gowdy and step-father Slim Gowdy. Viewing and visitation will be held Friday, December 7, 2018 from 4:00pm until 8:00pm at Smith Funeral Home, Sunnyside, WA. Funeral Services will be held Saturday, December 8, 2018 at 11:00am at Smith Funeral Home, Sunnyside, WA with burial to follow at the Lower Valley Memorial Gardens, Sunnyside, WA. A reception will follow the service. Those wishing to honor her memory may contribute to the Grandview Alumni Association or the Ephrata Senior Center. Those wishing to share their memories or sign Cookie’s online memorial book may do so at www.funeralhomesmith.com Smith Funeral Homes in care of arrangements.